American Airlines is extending its cancellations of about 90 daily flights by over a month. The announcement comes as Boeing’s troubled 737 Max plane remains grounded—and yet another software issue shows up. The Boeing-made Max jets have been grounded in the United States and elsewhere since mid-March following two deadly crashes in Ethiopia and Indonesia. Airlines that own the huge planes have been scrambling to fill some Max flights while canceling others. Boeing and the U.S. Federal Aviation Administration say Boeing needs more time to finish changes to its flight-control system. The system is suspected of playing a role in the two crashes. That means airlines must park their Max jets longer than they expected. American Airlines, the largest U.S. airline by revenue, has 24 Max jets in its fleet. American’s reservations staff is contacting affected customers directly by email or phone about re-booking flights. “We are working to limit the impact to the smallest number of customers,” an airline statement says. Preliminary investigations into the deadly accidents in Ethiopia and Indonesia found that faulty sensor readings triggered an automated system that pushed the plane’s nose down. Pilots of each plane struggled in vain to regain control of the plane. Sadly, 346 people died in those crashes. Starting in mid-April, Boeing will cut production of the Max jet, its best-selling plane, to 42 from 52 planes per month. The letup will allow Boeing to focus on fixing the flight-control software regulators believe probably caused the two crashes. 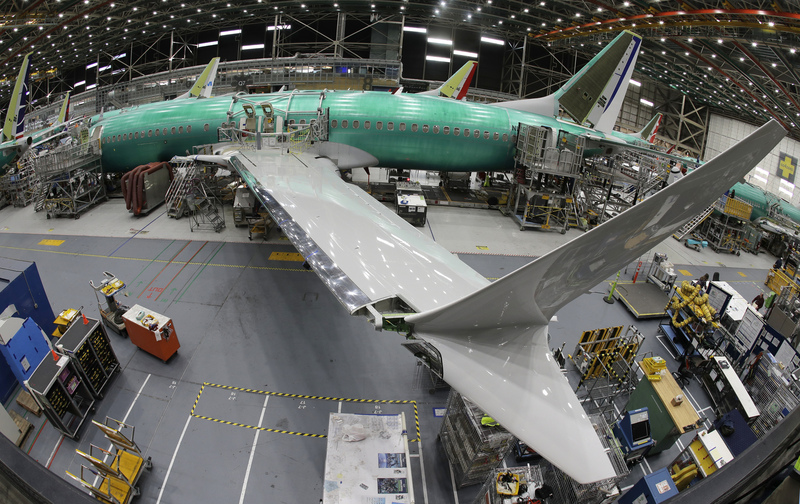 The announcement to cut production came after Boeing acknowledged that a second software issue needs fixing on the Max—a discovery that explains why the aircraft maker changed its schedule for getting the planes back in the air. That's sad. I hope they fix the problem. I am so glad that they made this decision to keep the planes grounded instead of ignoring or avoiding the problem. Question of the day: have you ever flown on an Ariplane or a boing one? I have flown on 9 flights when we were going to Hawaii they were all American Arlines but we saw Boing arlines. Sadly I have never flown. The only state I've ever been to (besides my home state Arizona) is California. other than my homestate washington i've only been to idaho california orgon florida hawii and some other's when i was rielly littly. and i have taken 10 plane flitghts. To get the first comment you have to be on World Teen at like 7am. Sadly, I have never flown on a plane. @ Warren: I know it is so fun!! I did it too!!! besides my home state(Indiana) i've ben to Mississippi,Arizona,Jawaii,louisiana,Kentukey,ohio.illinois,california,alabama,Tenessie,Flordia ,gorgia, Arkansaw(ithink) and a few others! I know my family LOVES to travle!! oh some of those we just drove through but stoped in al of them. I've never flown on a plane. who knows mabey you will someday!!! but its FUUUUUUUUUNNNNNNNNNNNNNNN!!!!!!!!! heres a tip NEVER EVER get bak row seat theres no windows and oits too loud!! What plane were you on that didn't have windows in the back? I have flown more times than I can count and I don't think I have ever been on a plane that didn't have windows for some seats? It was an American Arlines plane. And we had the very back seats. it was so loud !and there were NO windoes watsoever in the back. the people in front of us had windose but not us. I have been to Nevada, California, Washington, Arizona, Utah, Florida, Germany, the Netherlands, and Alaska! Well i'm glad they are doing something and are trying to not let anymore accidents happen so no more innocent lives will be lost. wow!!! thats a LOT!! how did you fell going froom Alaska to Hawaii and back? Singapore, The UAE, Indonesia, Greece, France, Austria, The UK, Italy, Thailand, New Zealand, India, Hong kong, Switzerland, Not counting places I've only been to the Airport of. For states, I've been to Kentucky, Tennessee, Alabama, Washington D.C., Massachusetts, Indiana, Illinois, Missouri, Kansas, Nebraska, Texas, Colorado, South Dakota, North Carolina, Arizona, California, Iowa, and Hawaii. I really want to go on a trip to Japan. At the moment I've only been to the Tokyo airport. Haha I didn't see your comment and I didn't realize that I just asked the same question as you. @ the three above comments. I think Josiah T dosent belive that Zack W has ben to all those plases. WOW. How do you get to go all over like that?!? !